I came across this article the other day in the Washington Post and just had to say something about it. I know many of the nutrition bloggers and experts will look at this and tear it apart. Personally I am happy to see anything that promotes healthy eating for kids. it’s a great first step, but this is only the beginning. We must continue to improve our own diets and the diets of the next generation. Subway has pledged to spend $41 million over three years promoting its healthier kids menu with commercials and marketing campaigns, which will include the Muppets and the theme “playtime powered by veggies.” It has also stocked the kids menu with fruit, vegetables, non-sugary drinks and lean dairy products. Employees will encourage children to pile the vegetables high, a company spokesman said. I also found this report card on the American diet published in September 2013 and it was eye opening. You can view the full article here if you are interested, but these are the items that stood out to me the most. .
Grains & Added Sugar this is probably the biggest item on the subway meal that I could poke fun of. For kids and active adults, I think a modest amount of bread/grains/natural sugar in the diet would be perfectly fine. The problems start when we eat these processed carbs for breakfast (cereal, pancakes, toast, etc. ), lunch (sandwiches, chips) dinner (pasta, breaded chicken, rice, etc), and snacks (juices, fruits, granola bars, etc). 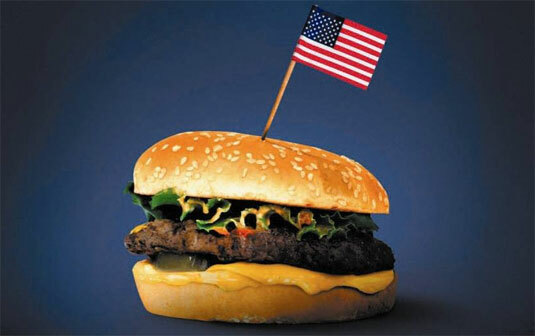 Limiting these foods should be the main focus of Americans. Fruits & vegetables I found this table to be particularly encouraging. 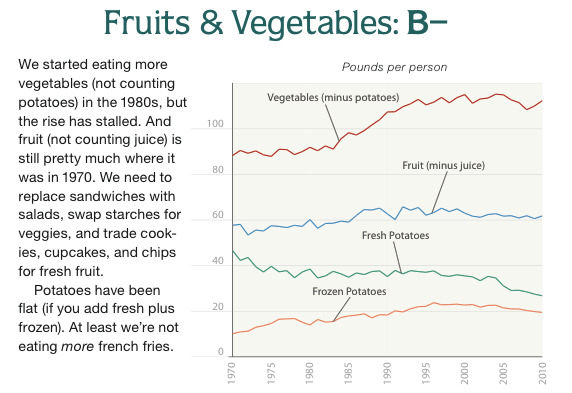 According to Bonnie Liebman, we are eating more vegetables! 🙂 Vegetables and fruit provide our bodies with the nutrients that give us energy and help us fight disease. 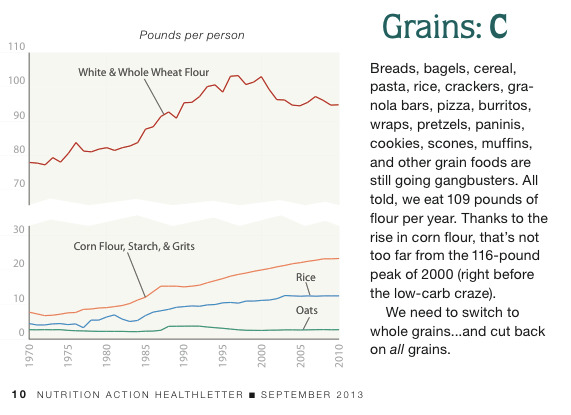 I really hope to see this trend continue as more Americans discover the power of a nutrient dense diet. So what do you think about all this? Do you feel that campaigns like Subway’s will actually help Americans eat healthier? If this isn’t the answer, then what is?